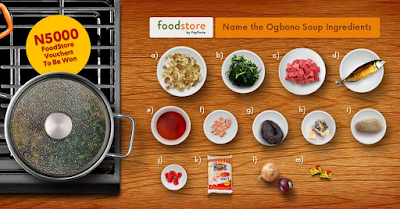 Check: How well do you know your Nigerian soups' ingredients? 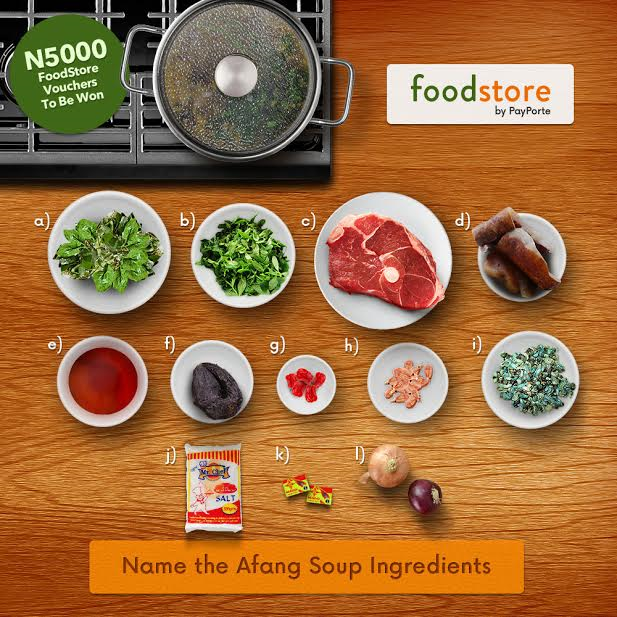 N5000 worth of shopping on ‪#‎PayPorteFoodStore can get you any sweet pot of soup for the Family with a lovely combo of Starch, Eba, Amala, Pounded yam or Semo. That isnt all. You could also have the meal go along with a few packs of Juice. 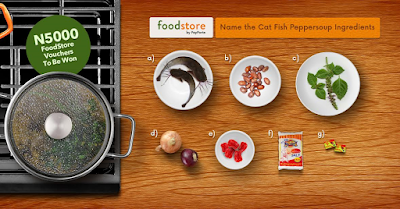 All of which the ingredients can be gotten from PayPorte FoodStore. To stand a chance of winning the voucher, click here https://www.instagram.com/p/BJPwuc8AoQ-/ to join the challenge. 5. Share the image to your friends on Social Media, and you could be the lucky winner. Kindly note, contest is only open to customers based in Lagos. What are you waiting for? Start playing now! The first 10 correct entries will get a N5000.00 voucher each to be used on PayPorte. PayPorte food store opens every Thursday and Friday and delivers to customers on Saturday and Sunday. Visit http://foodstore.payporte.com/ and start shopping for your weekend.